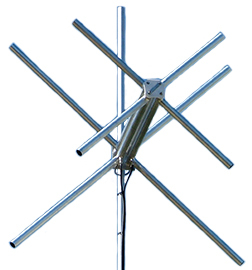 The FMCPY2-716SS is a cross polarised FM broadcast Yagi that offers true circular field with full band coverage which permits multiple broadcast frequencies and antenna sharing. The FMCPY2-716SS can be installed in an array configuration to increase gain and signal pattern. ZCG recommend mounting the FMCPY2-716SS as high on your mast or tower as possible using the supplied mounting hardware.